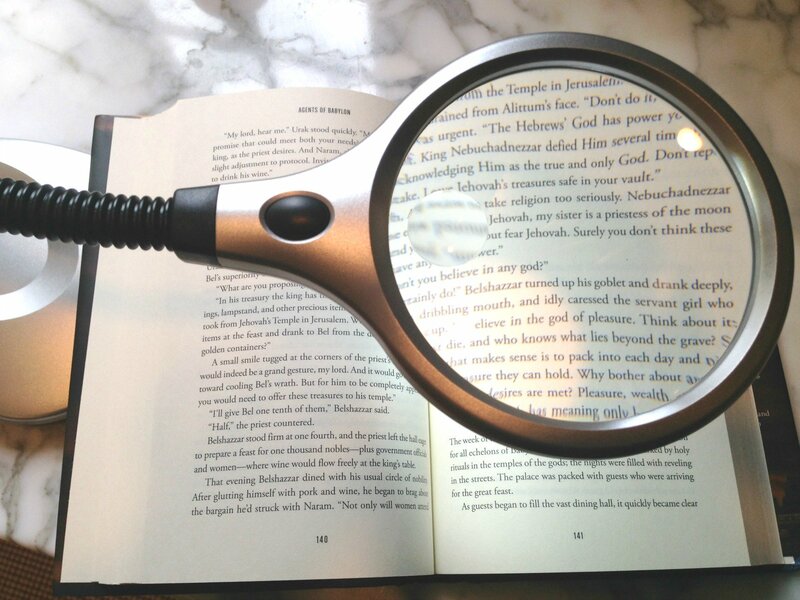 If you get the right reading magnifier, you can continue to enjoy reading your favorite novel, newspaper or magazine. If you are having trouble reading, you could start with just trying better lighting - a higher watt bulb or try reading near a window where there is lots of daylight coming in. Being able to direct your light onto your reading material with an adjustable or gooseneck arm can make all the difference in visibility. Often less magnification is needed if better light is provided. 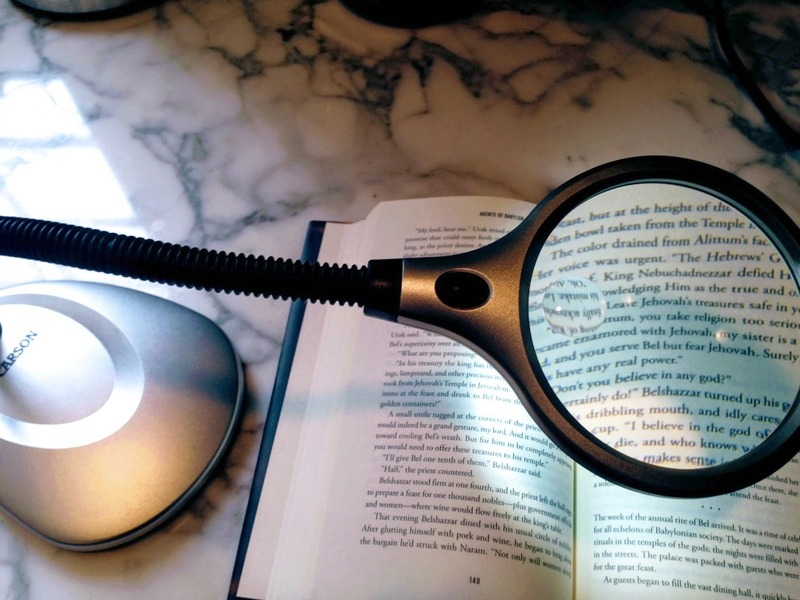 If improved lighting does not offer enough help then consider a reading magnifier to help you read. They come in many different styles. Think about where you like to read. Do you like reading at a desk? Then get a desk magnifier. Do you like to read in your favorite chair? Then get a floor lamp magnifier or a full page magnifier that provides light and magnification. 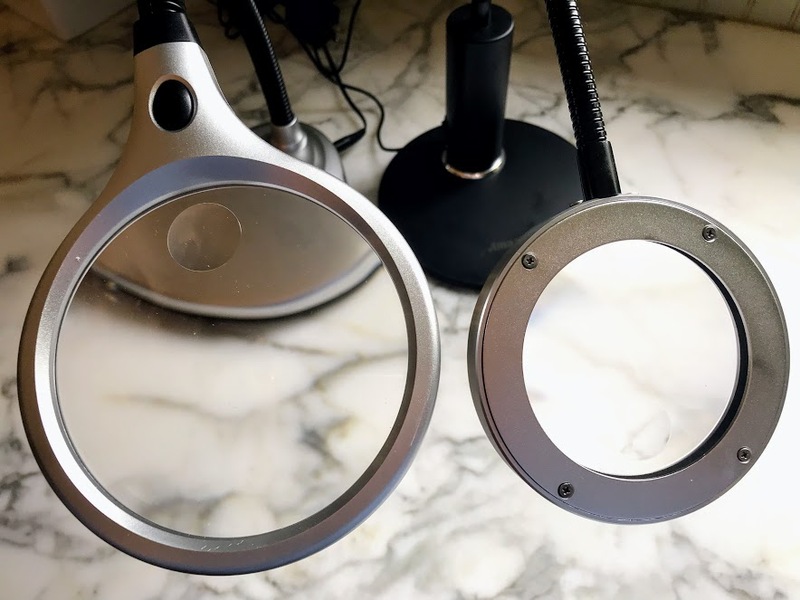 A magnifying desk lamp with an adjustable or gooseneck arm allows you to easily position the magnifier and light right where it's needed for illumination and clarity. The magnification power, number of LED lights, power source and size of the magnifier are all features to consider to best utilize this reading magnifier. By providing light and magnification you will find reading to be easier and more enjoyable. 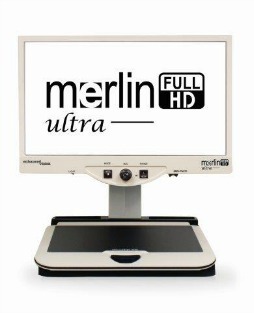 While these reading magnifiers have a larger viewing area, they also are limited in their magnification power. Rather than giving up reading your favorite magazine or newspaper, find ways to adapt. 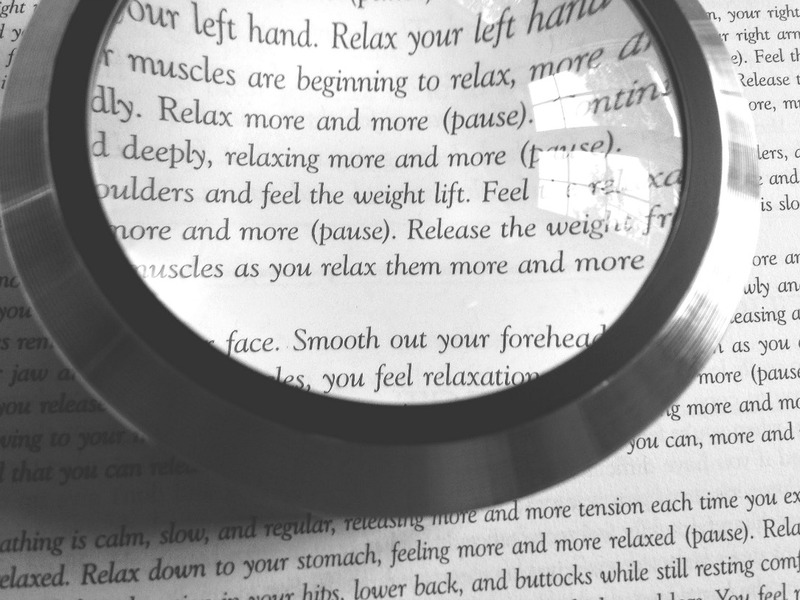 Using different magnifiers for different tasks will keep you reading and doing the things you enjoy. These magnifiers come in different styles - such as the one pictured. Some are lighted and some are not. Because of the larger lens these reading magnifiers are not available in higher powers. There are a variety of magnifying reading glasses available from low vision eye specialists. Randy Kinkade, OD,MPH,FAAO is an low vision specialist who has been in the field of low vision services for over 30 years. 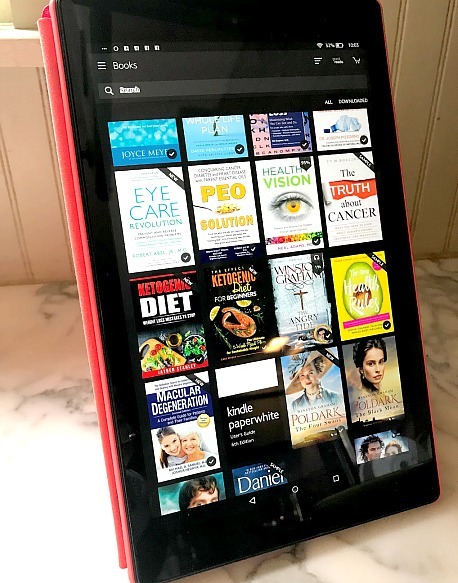 The new Kindle readers are electronic reading devices that feature enlarged fonts and crisp, clear text and an easy to navigate display. You can increase the text size of your favorite book or newspaper by simply pushing a button. If your eyes tire, simply increase the font size or the screen brightness. Now every book or newspaper can be large print. For those who need some extra magnification - there is an easy to use low vision technology that projects one's reading material onto the TV screen. The larger the TV the bigger the magnification. 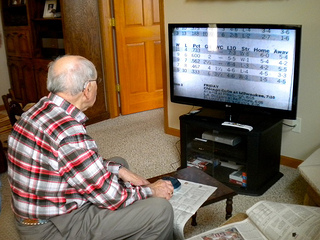 My father-in-law is checking out the baseball scores of his favorite team, the Brewers. CCTV (closed circuit TV) is for people with moderate to severe vision loss. If you have 20/400 vision, a CCTV is the best option for reading. This device uses a camera and a monitor to magnify a page, a pill bottle, a picture. The way it works is that you place a book or object beneath the camera and that page or object is then viewed on the monitor at a magnification that you can control. 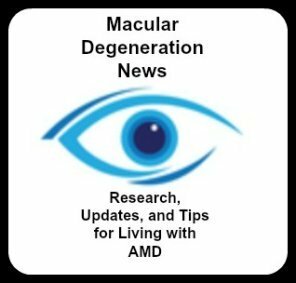 This macular degeneration magnifier is useful for looking at pictures, catalogs, pill bottles, bills, or any other reading material. Desktop magnififiers offer adjustable magnification up to 70X, a larger viewing screen, and adjustable contrasting colors. Many reading magnifiers that offer a large viewing field, such as a full page magnifier can usually only provide up to 2x magnification. Smaller magnifiers can offer higher magnification but a much smaller viewing field. So if you are needing higher magnification and want a large screen to view your reading material than consider a low vision CCTV. This type of magnifier is an ideal reading aid for those with macular degeneration. 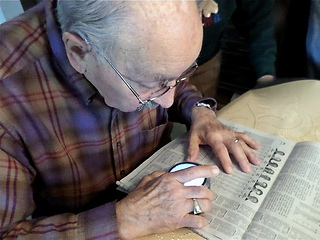 My father-in-law likes to use this reading magnifier to read the daily newspaper at the kitchen table. A desktop magnifier is great to have at the desk where you go through your mail, do your bills or balance your checkbook. 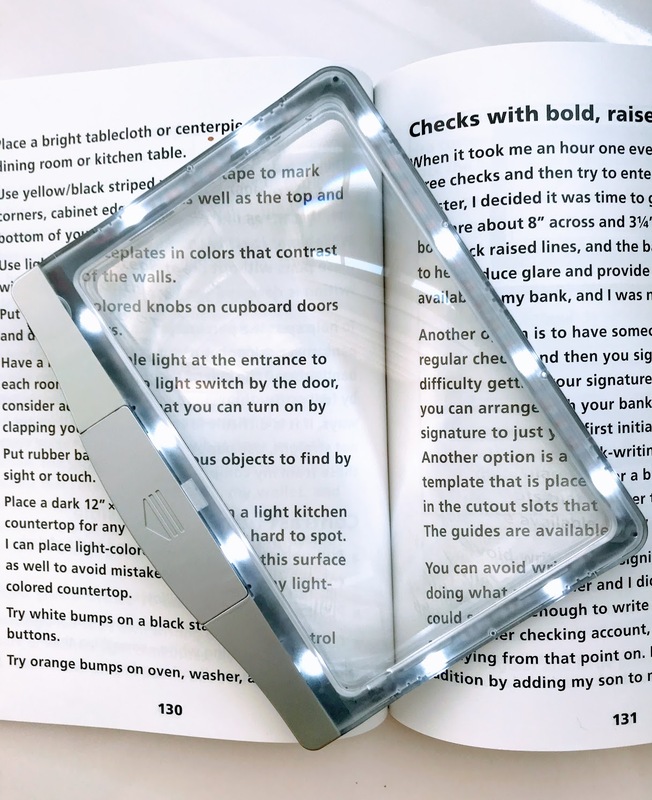 Look for a lighted one that has an adjustable and flexible arm that lets you adjust the location of the magnifier to make for easy reading. This type of lamp provides magnification and light to enhance your reading or to help you with your hobbies. It also allows you to be hands free so that you are not holding a magnifier for an extended period of time. 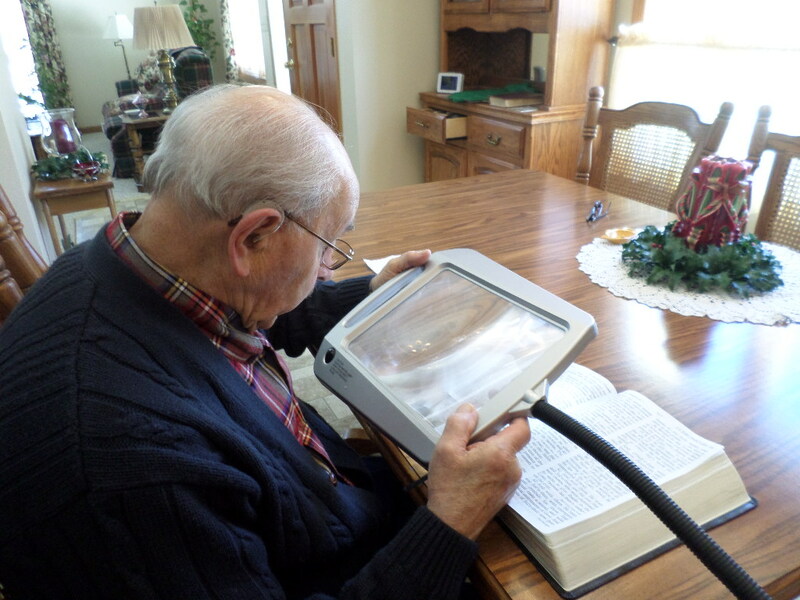 My father-in-law who has wet macular degeneration, was using a lighted hand held magnifying glass for his reading. He got tired of holding the magnifier and replacing the batteries in his hand held LED magnifier. I suggested he get a hands free magnifier for most of his reading and use the lighted hand held magnifier for spot magnifying - like quickly reading a label or a prescription bottle. Now he can read at his desk with his hands free without having to constantly adjust the distance of the magnifier for clear reading. If you want to do some of your reading, writing, etc at your desk, then invest in a good magnifying desk lamp like this one pictured above from Amazon.